Summer City on VHS video. Starring John Jarratt, Phillip Avalon, Steve Bisley, Mel Gibson. Directed by Christopher Fraser. 1977. 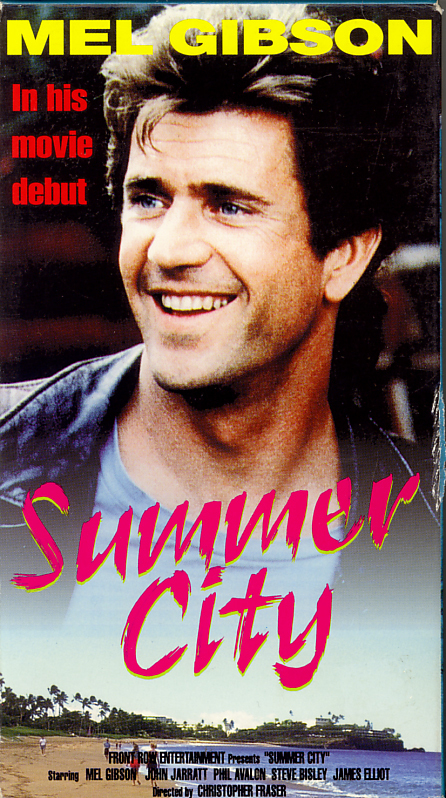 Mel Gibson in his film debut stars in this Australian teen rebel film. Four wild friends go on a surfing weekend at a sleepy little seaside community only to find trouble when one of them gets involved with a local’s daughter. Fun-and-sun surfing film complete with romance, hot rods, and murder. Tequila Sunrise on VHS. 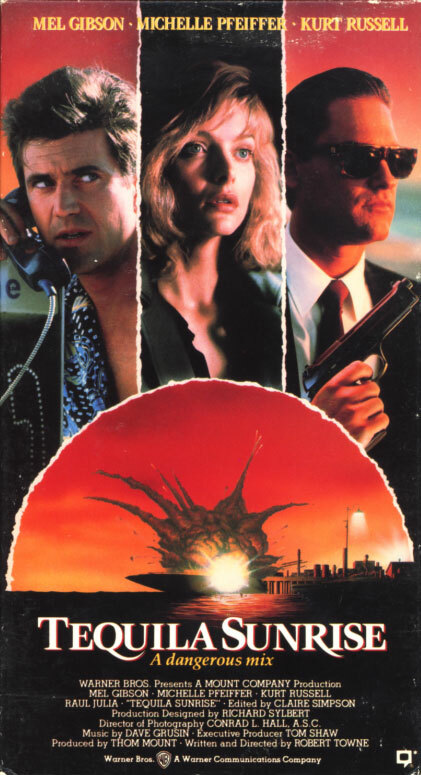 Starring Mel Gibson, Michelle Pfeiffer, Kurt Russell. With Raul Julia, J.T. Walsh. 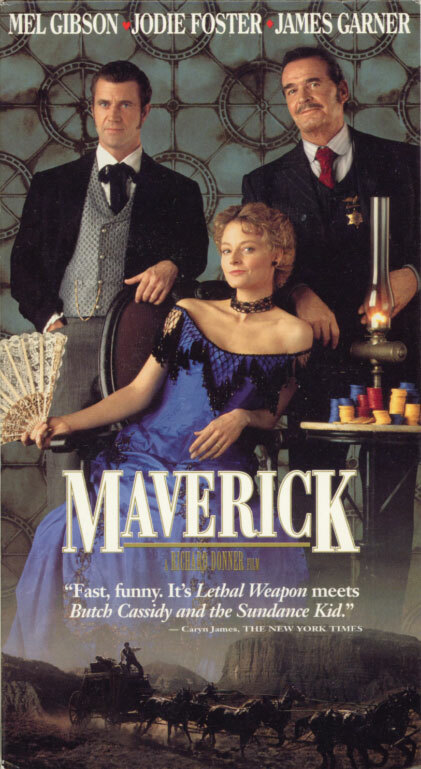 Directed by Robert Towne. 1988. Mac McKussic has fallen in step with an era that rightly proclaims “Just Say No.” He’s quit the drug-smuggling business. But the business won’t quit him.